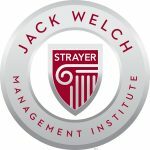 Become a better leader and advance your career with a Jack Welch MBA from the Jack Welch Management Institute. Our flexible online format and real-world curriculum coupled with Jack’s proven business and leadership practices prepare you to drive real-time results in your organization. Learn more about our game-changing program, here.